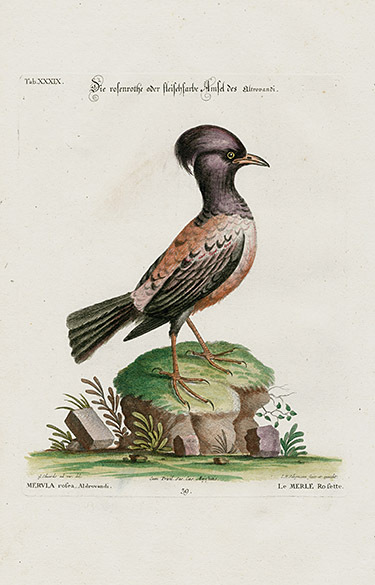 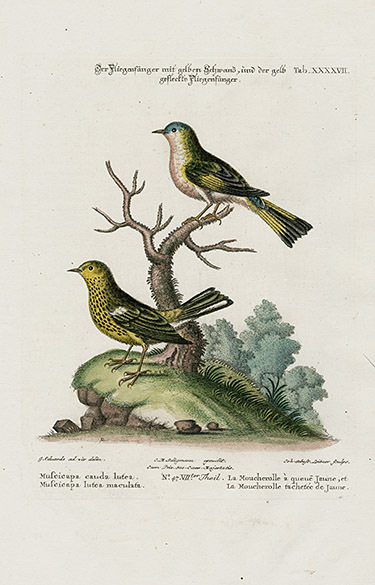 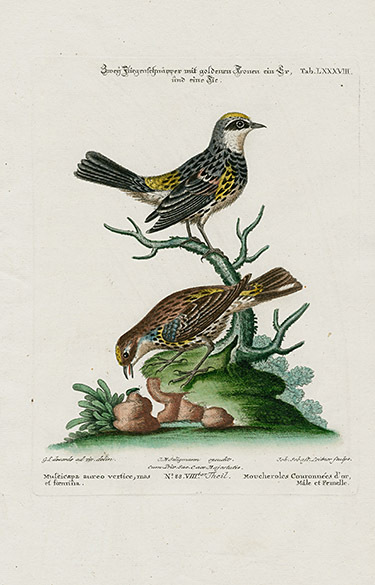 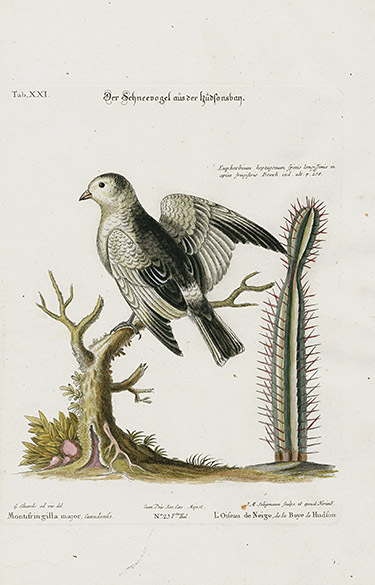 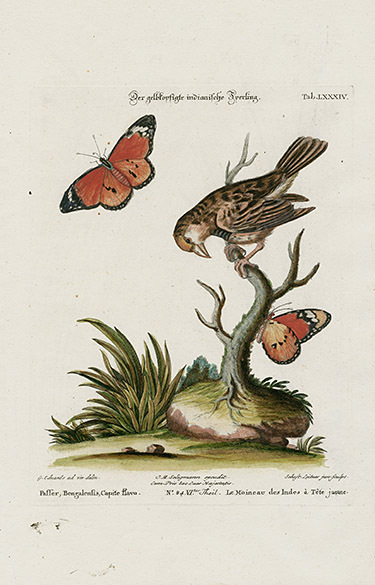 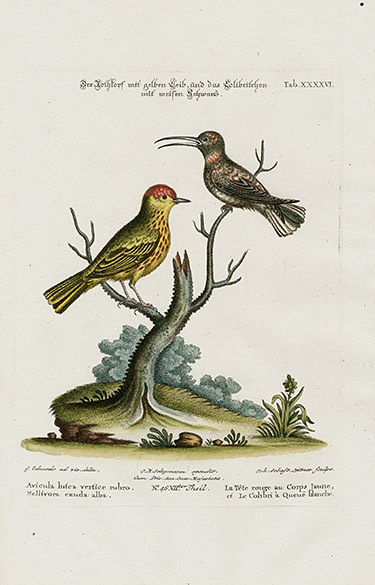 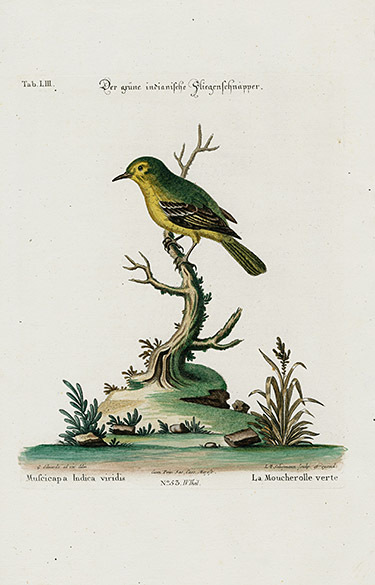 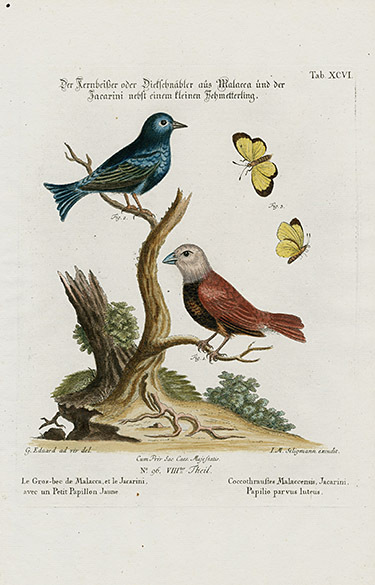 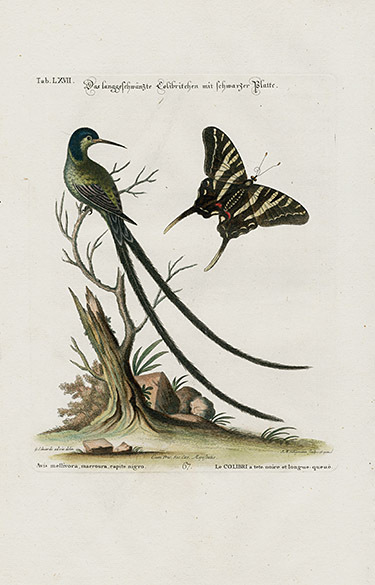 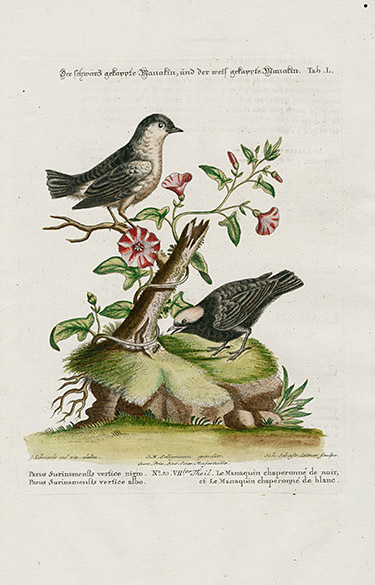 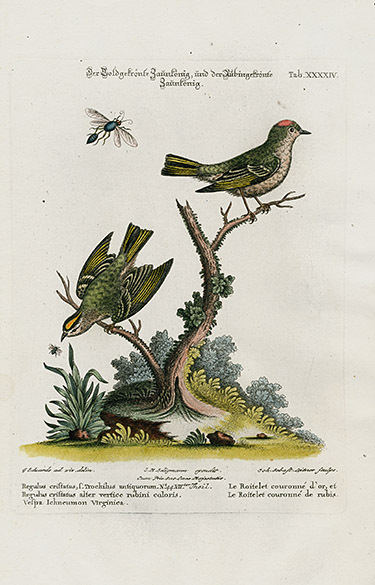 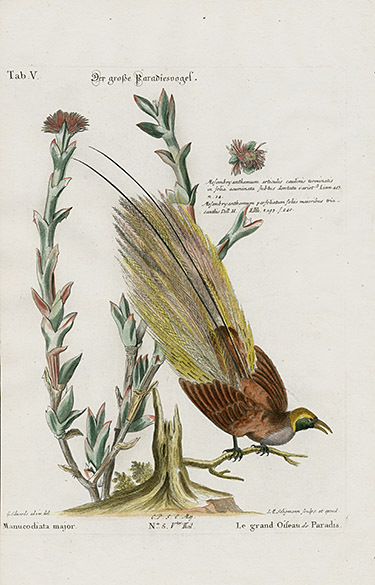 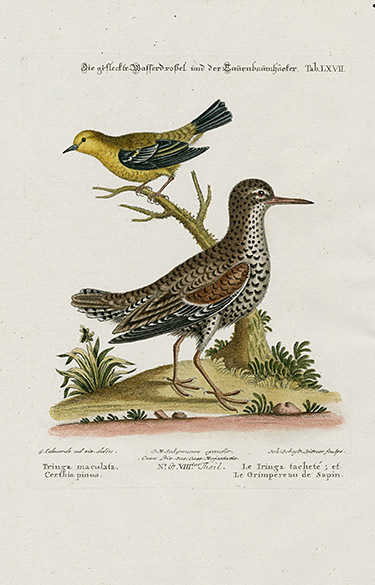 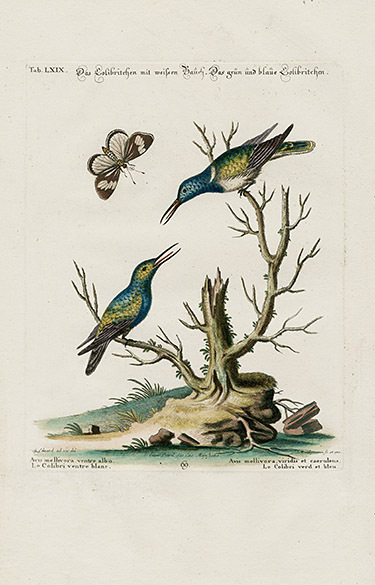 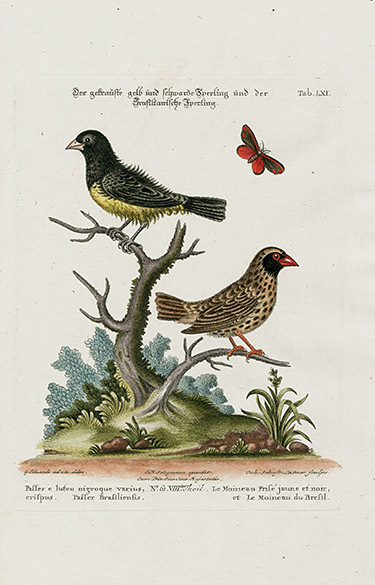 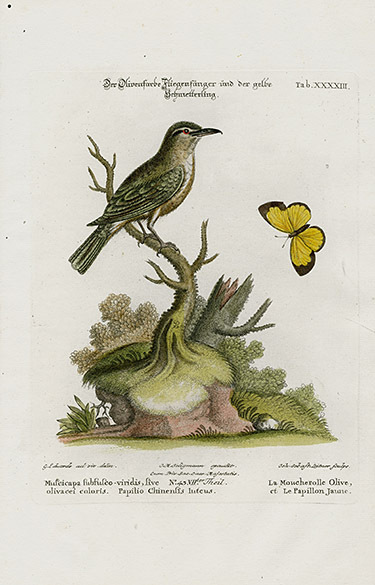 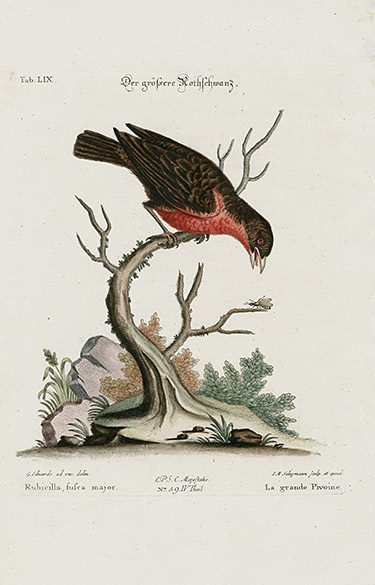 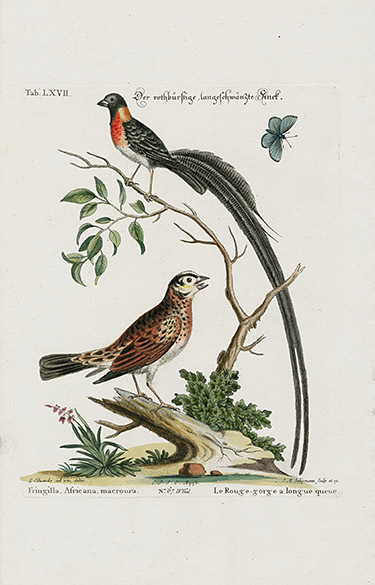 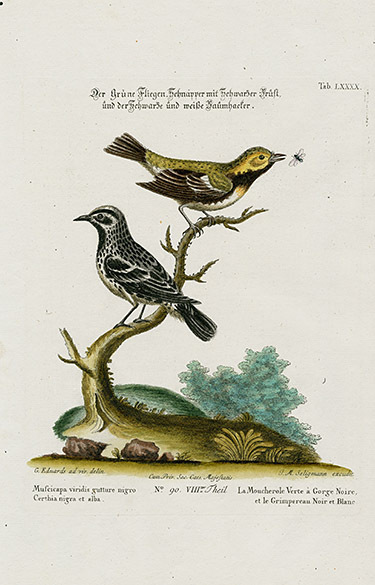 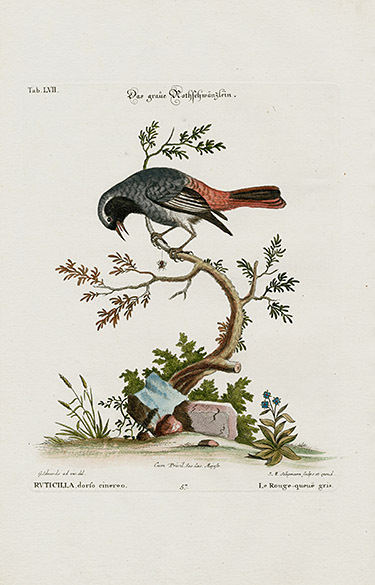 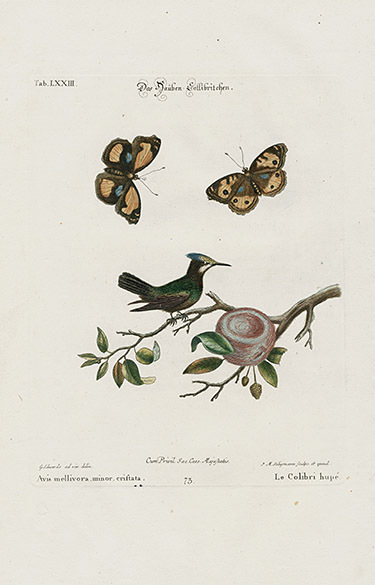 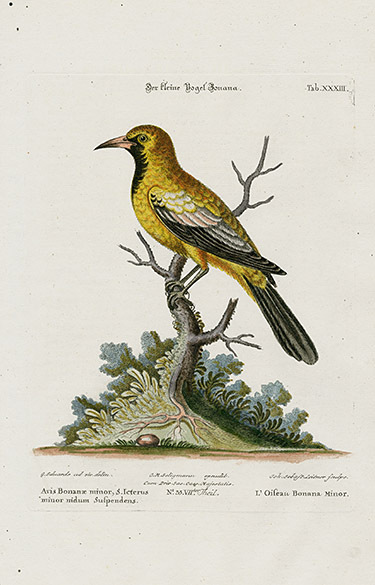 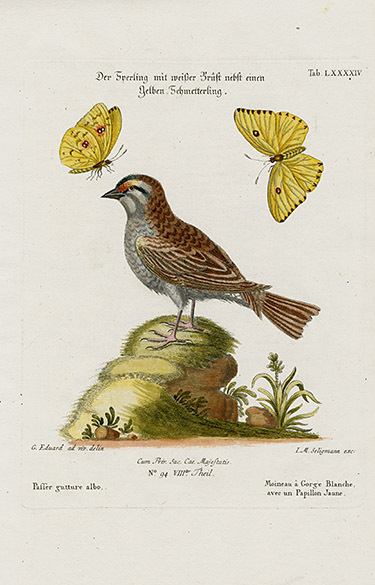 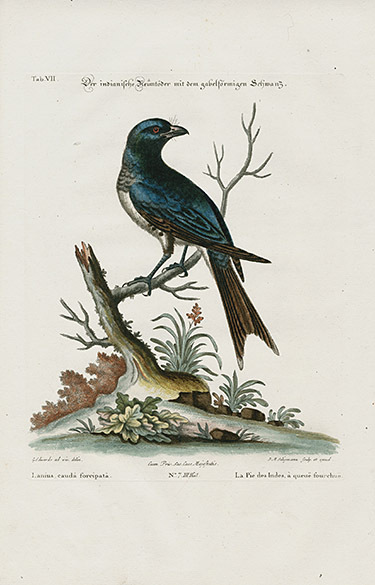 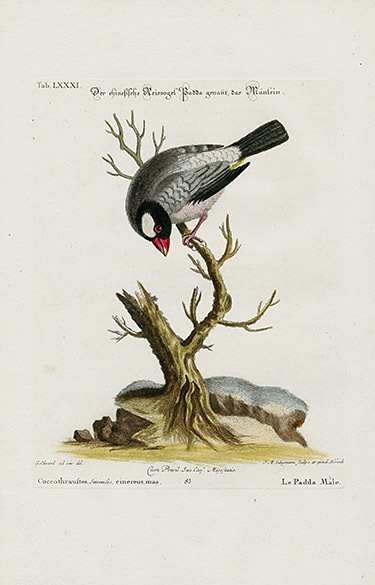 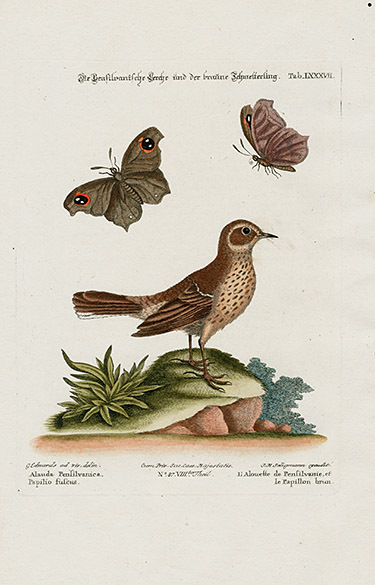 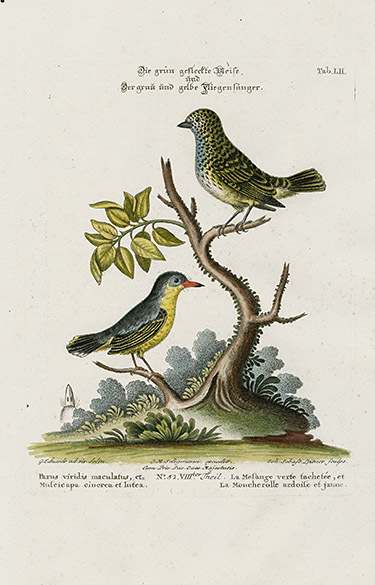 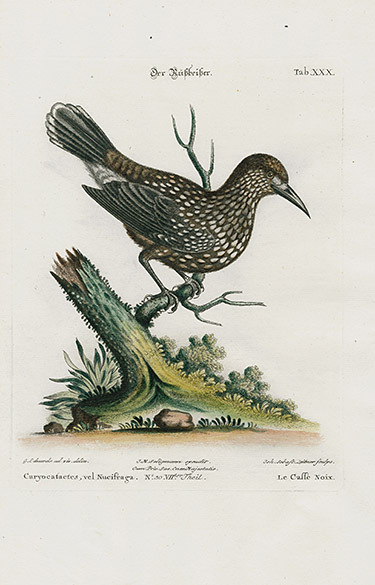 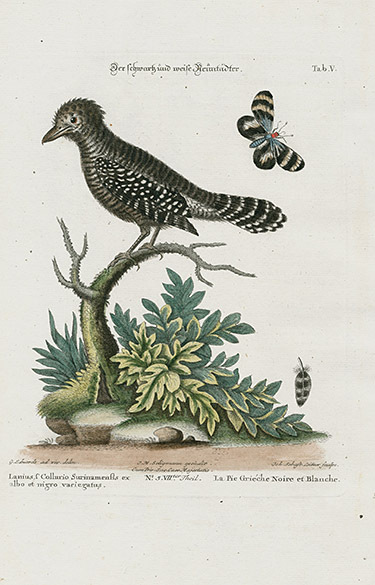 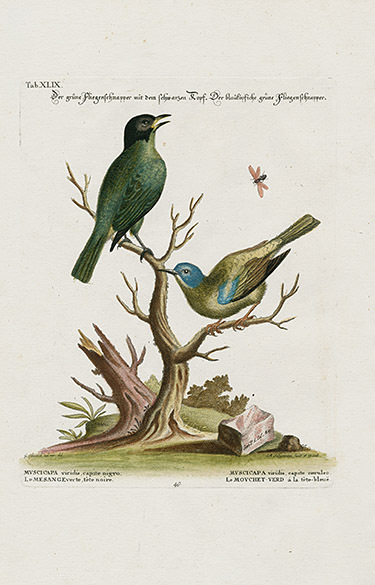 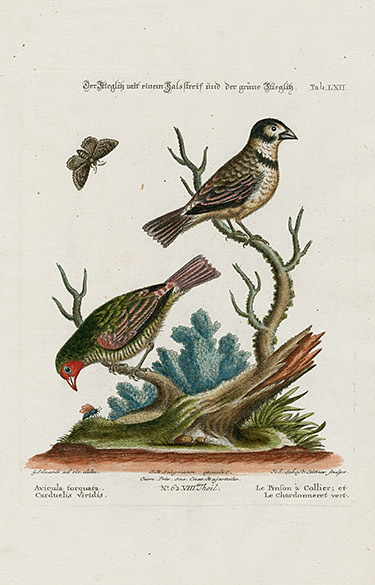 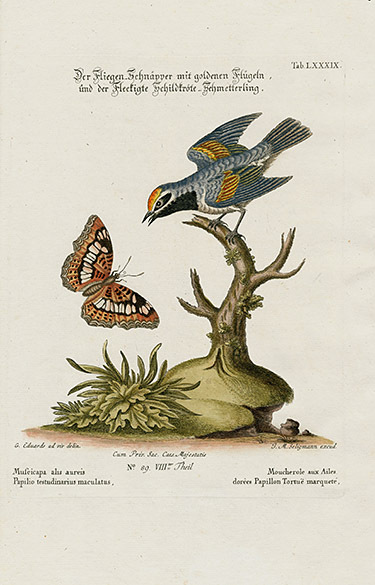 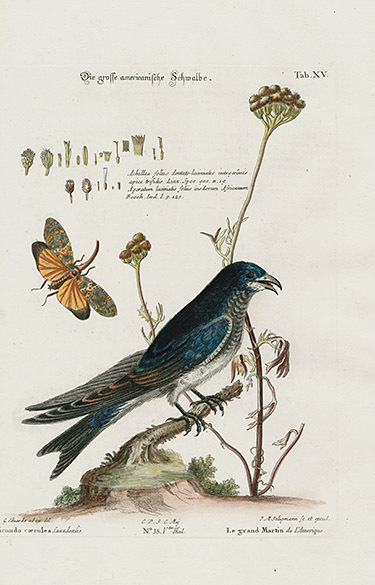 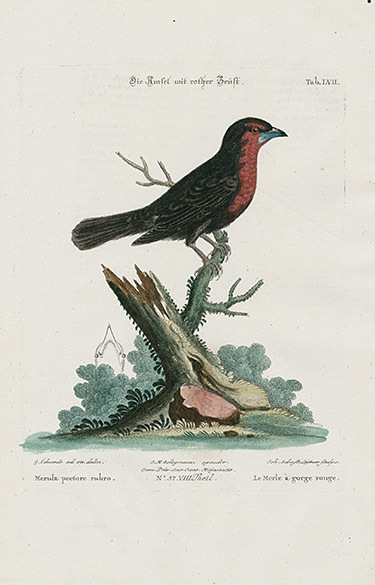 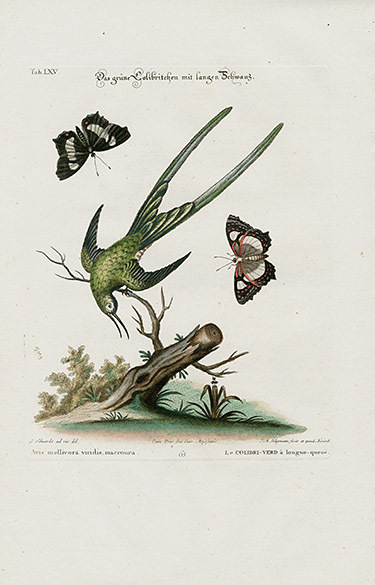 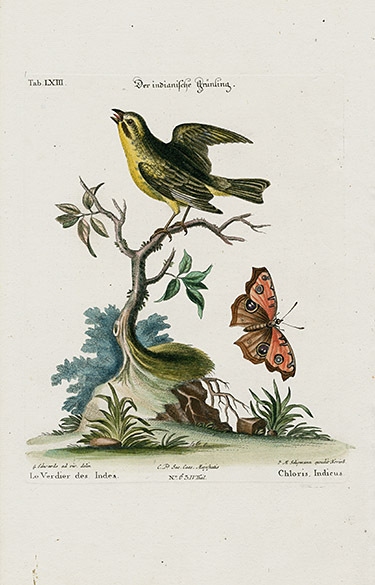 We are delighted to offer a selection of bird prints from the increasingly rare & treasured A Natural History of Uncommon Birds (1743-1751) and Gleaning of Natural History (1758-1764) by George Edwards. 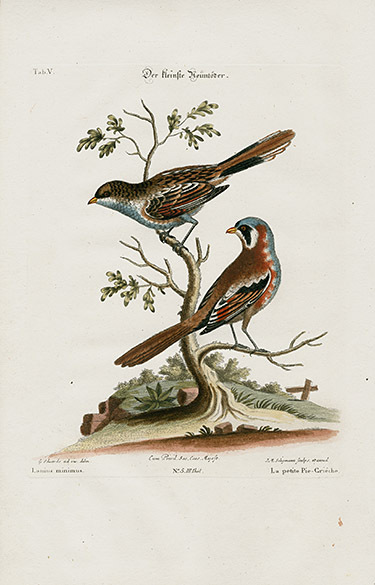 Initially published as two separate works, they are now considered as one, with 362 plates in all, with 318 of birds & the balance of various mammals, fish & insects. 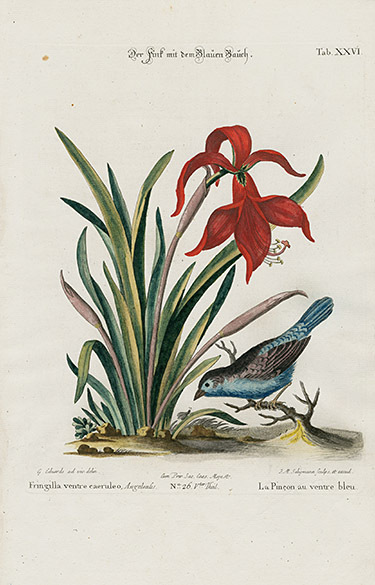 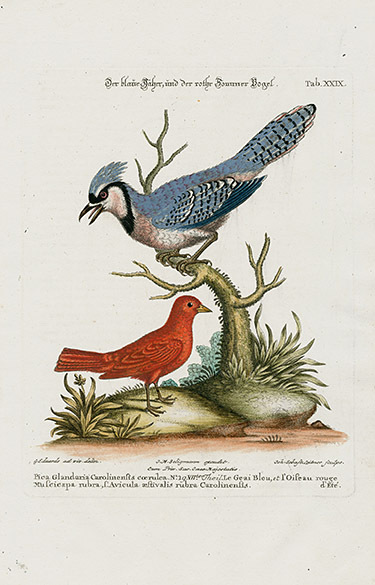 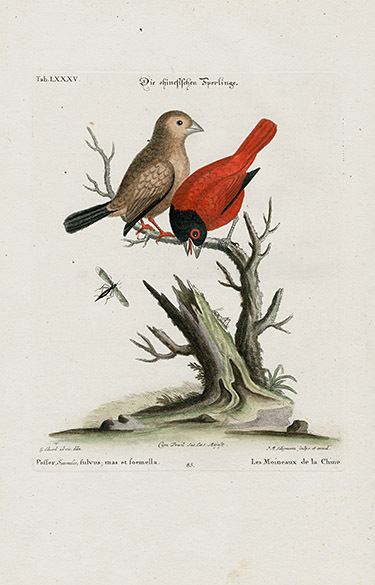 It was heralded as the most important of all Bird Books, both from an artistic and an ornithological perspective, and time has certainly not dimmed either its luster or appeal. 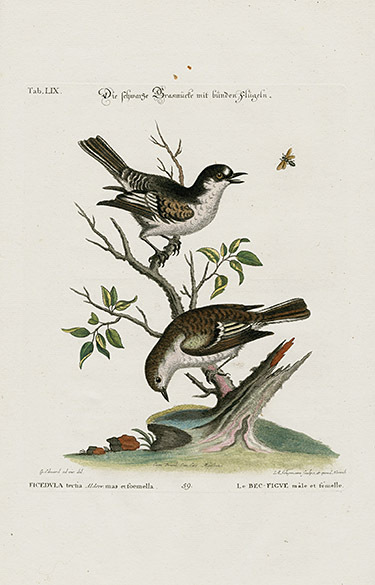 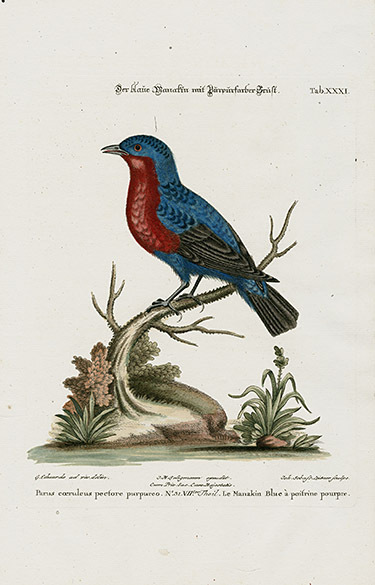 George Edwards was an English draughtsman and a skilled observer of birds and one of the most prominent ornithologists of his day. 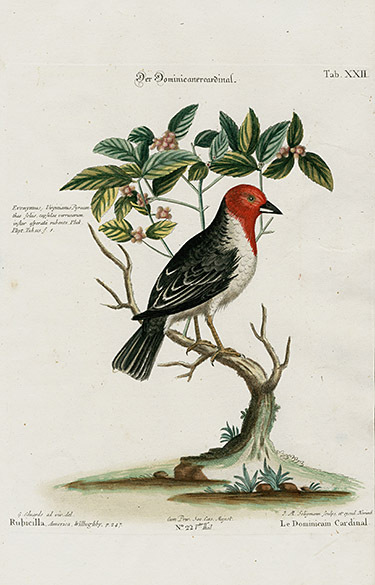 He worked as Librarian to the Royal College of Physicians, where he was later elected a fellow, and was honored with the Gold Medal of the Royal Society. 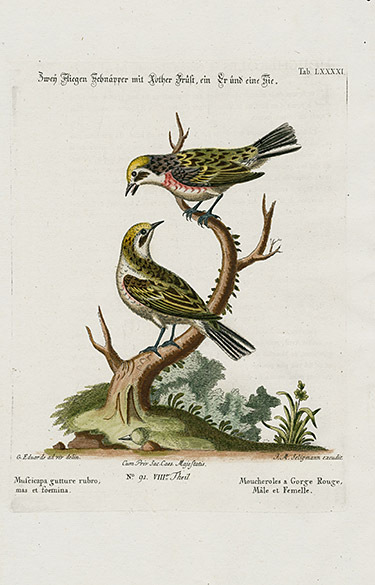 As the Librarian to the Royal College of Physicians, he oversaw a library of 8,000 volumes. 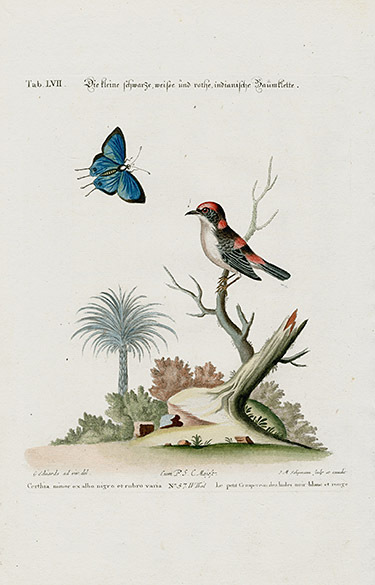 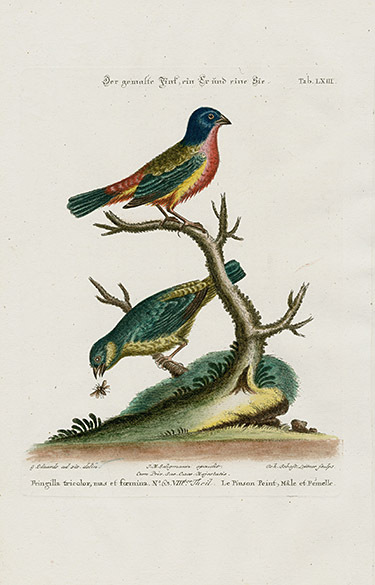 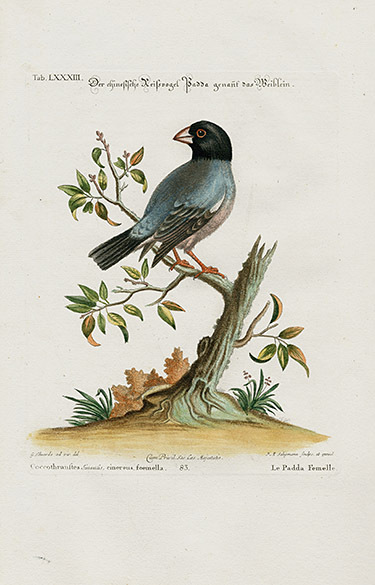 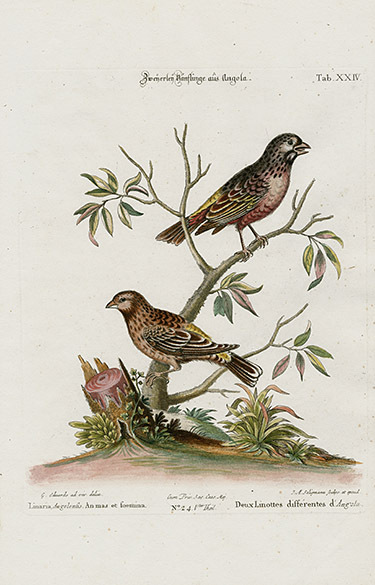 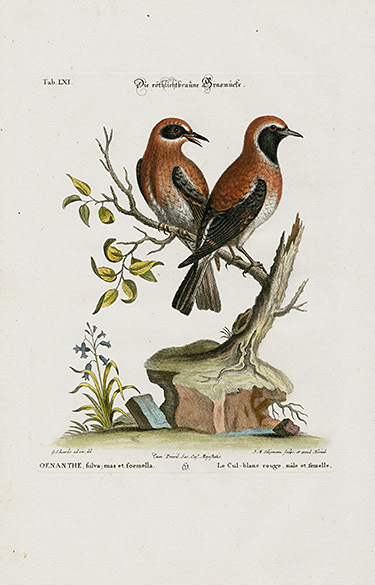 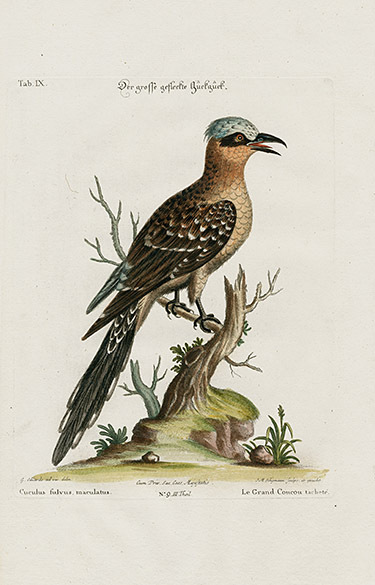 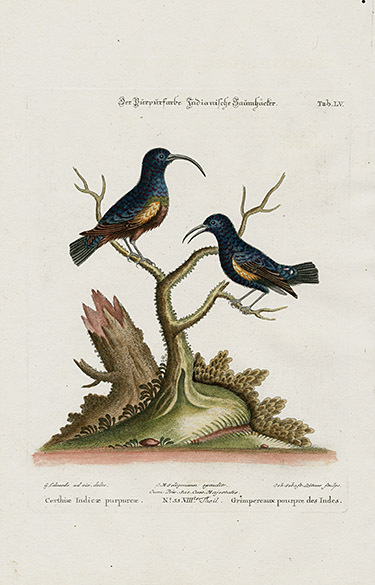 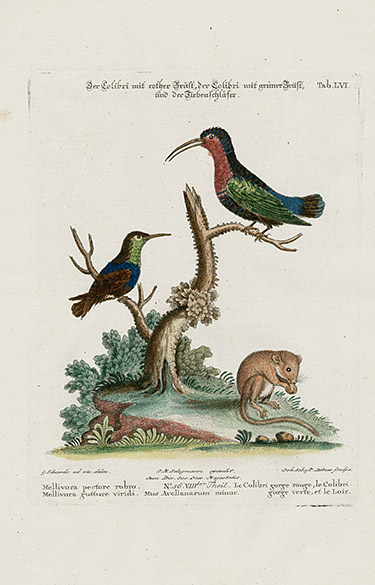 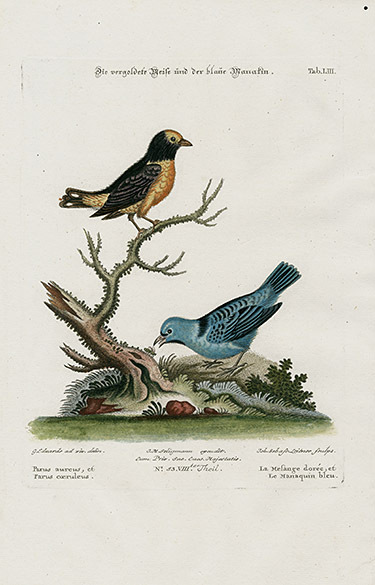 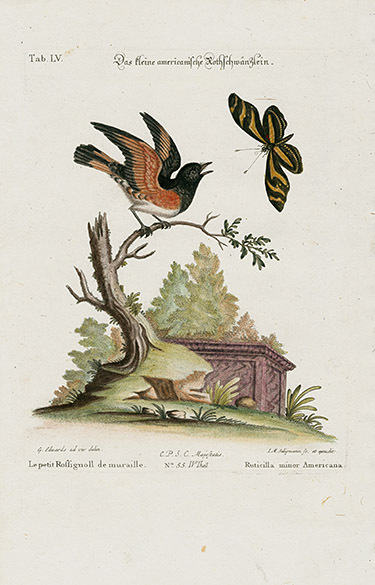 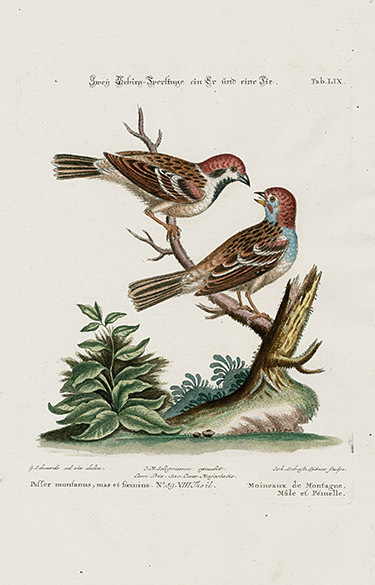 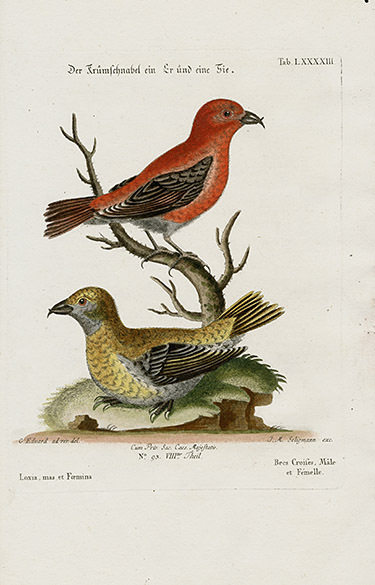 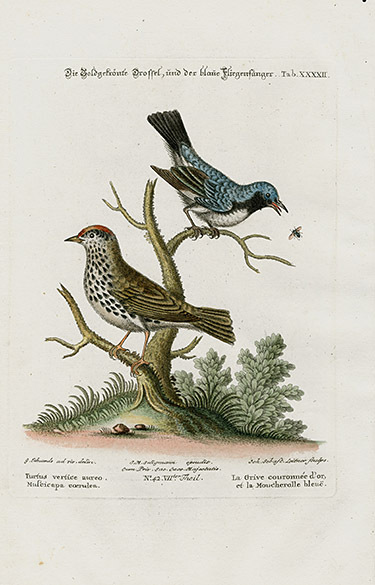 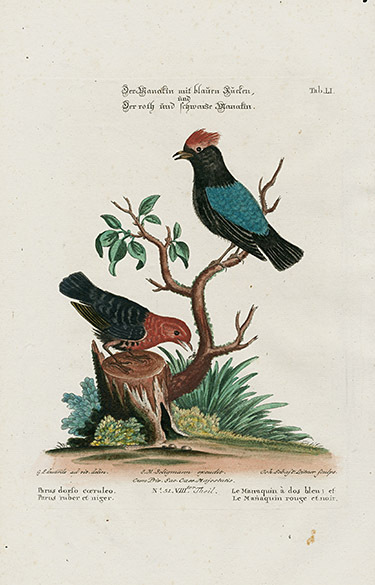 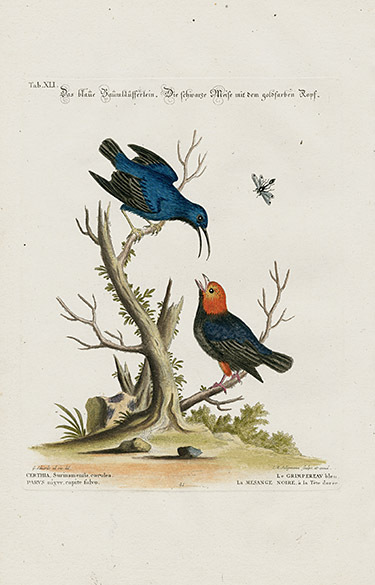 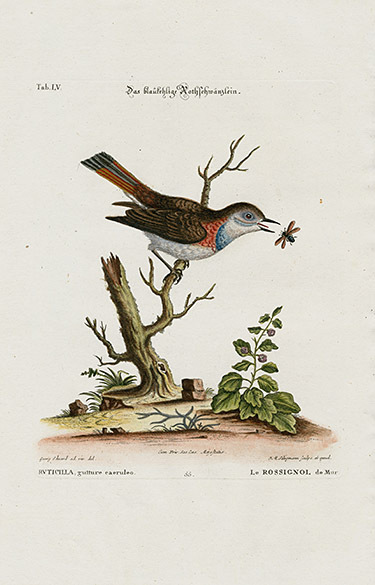 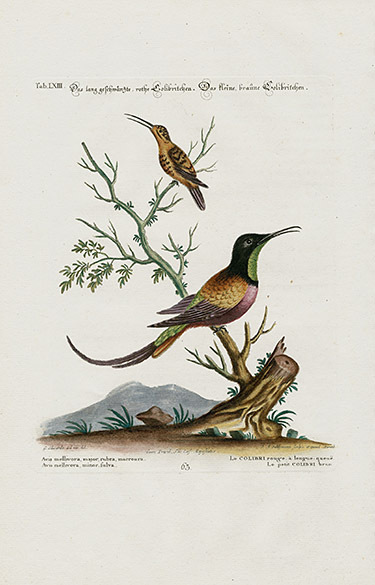 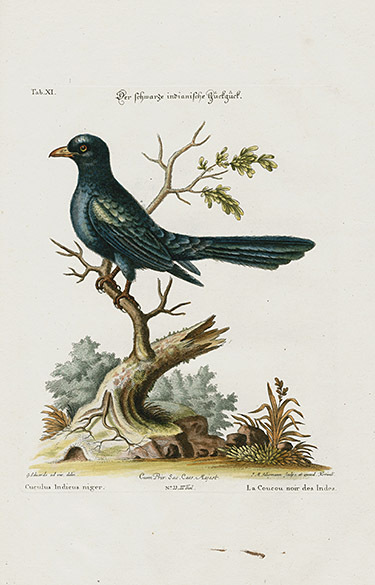 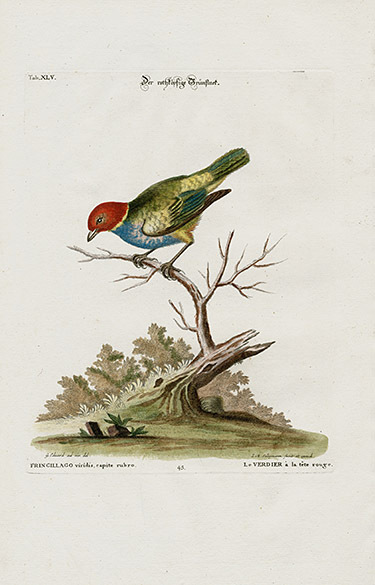 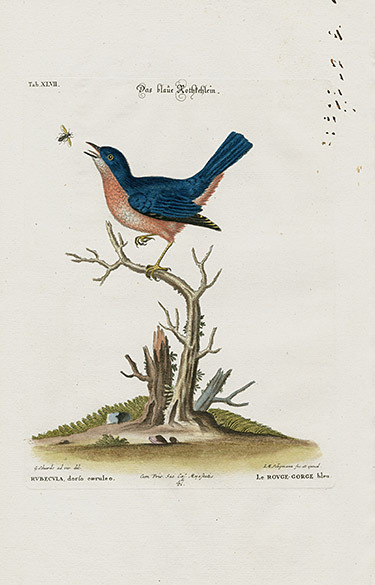 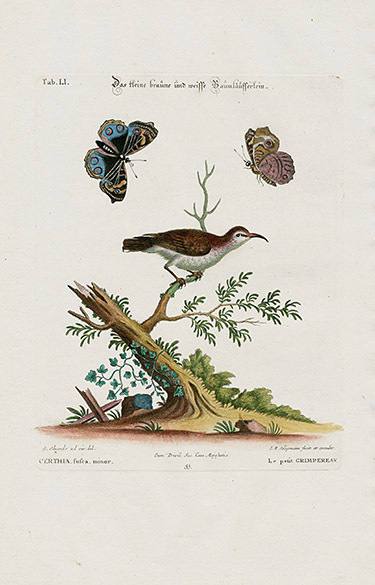 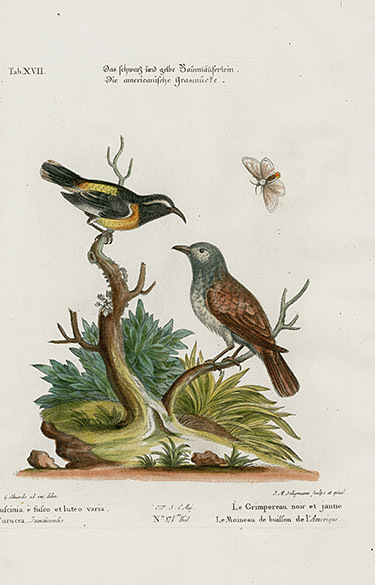 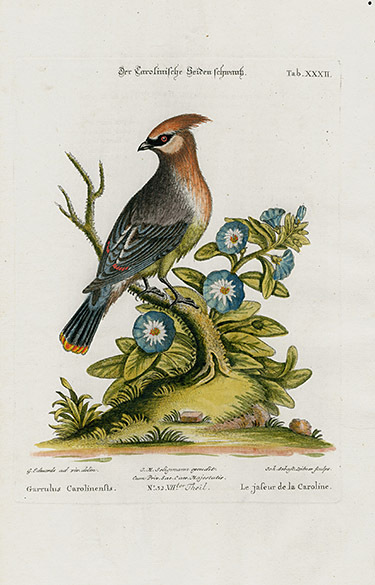 The small honorarium he received for this post liberated him to pursue his ornithological studies and drawings. 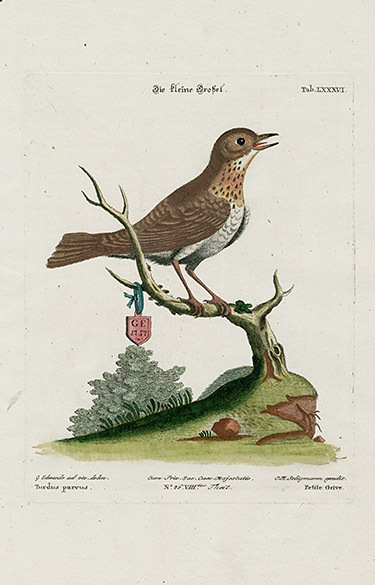 He died in West Ham, which was also his birthplace, in 1773. 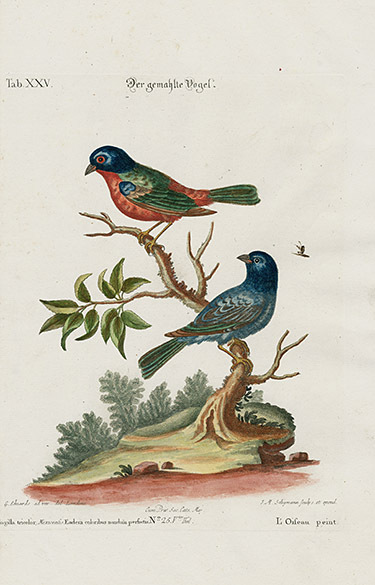 These prints are in excellent condition with the ORIGINAL hand coloring still very vivid and vibrant, with no oxidation of colors. 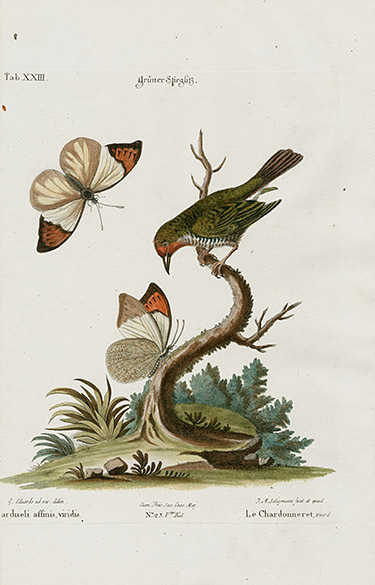 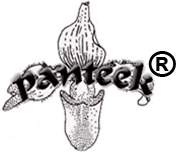 The paper is strong & chain-lined and light creamy in color, with strong plate marks and some watermarking. 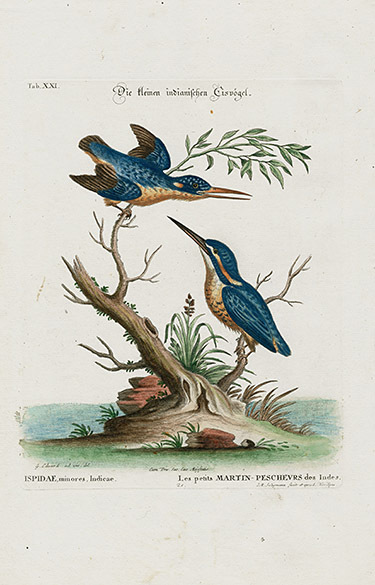 There is very little to no foxing, and it is almost all marginal. 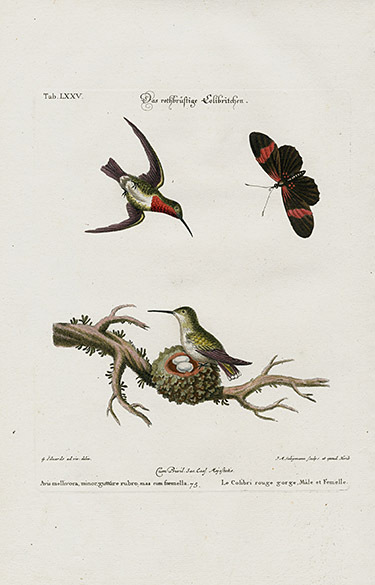 Most prints are named, dated & signed in the plate by the hand of Edwards himself. 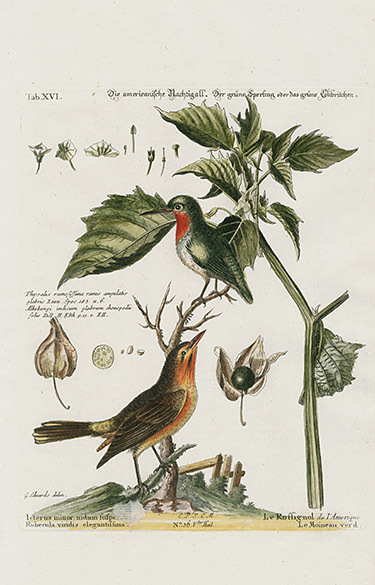 Each print measures 9 inches wide by 11 1/4 inches long. 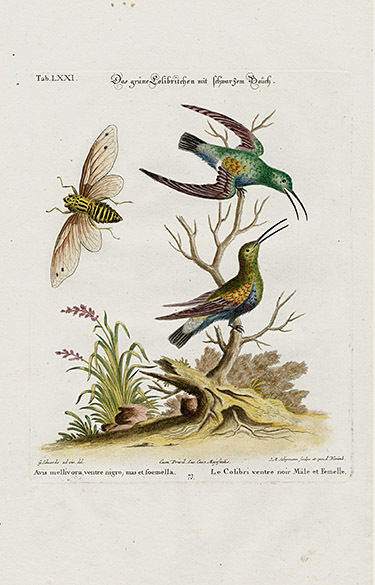 The condition is superb for a work that is about 270 years old. 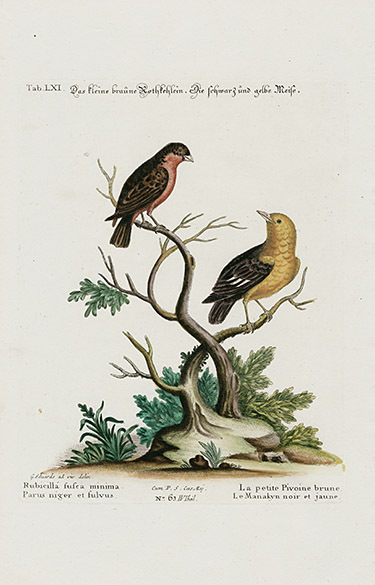 This set is the most complete we have ever had & it is a great please to view prints we have never before seen.